In Egypt's New Kingdom, this was where creation began. Tutankhamun's golden mask goes in for restoration - to fix the last restoration. Today is the summer solstice. Here the sunrise appears through the central axis of Karnak Temple. Tutankhamun hits the small screen in July. Will it be awesome? A whole new way to experience the New Kingdom pharaohs' sacred burial ground. There are some sun temples out there somewhere. Did the Egyptians really worship cats? This is going to be bad news for cat lovers. In 760 B.C. the 'Black Pharaohs' decided that Egypt needed saving - from itself. Why these 3,000 year-old fakes were just as good as the real thing. WIN 'PHARAOHS OF THE SUN'! Every new subscriber in the month of June goes into the running to win the fabulous book, 'Pharaohs of the Sun'. This large, hard-cover book features more than 250 works of art from the life and times of Akhenaten, the controversial pharaoh who moved Egypt's capital, gave art a startling new look, and turned his back on an ages-old religious practice in order to worship a single god, Aten. 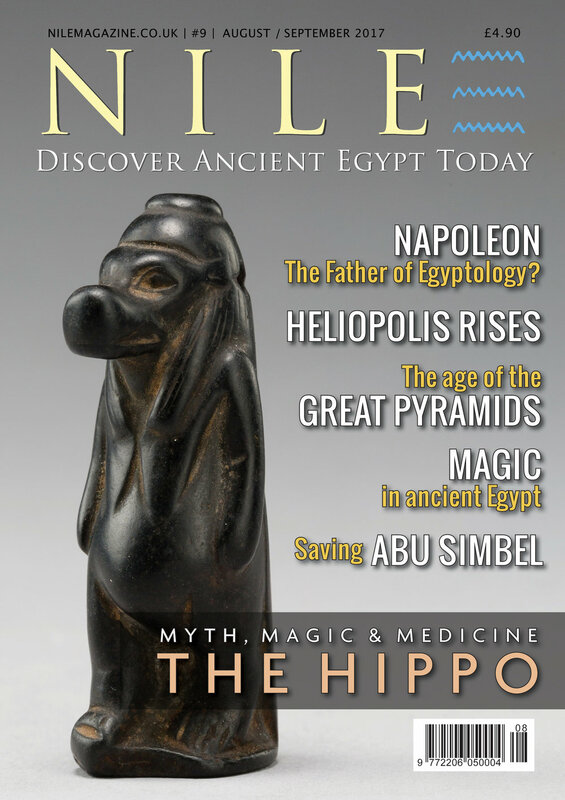 NILE Magazine is a fresh, contemporary approach to discovering the world of ancient Egypt. It is smart, bright, and packed with amazing photography. And because NILE is a digital magazine, you will also feel good about the trees you are saving! Pictured is a Princess of Amarna, one of Akhenaten's six daughters, displaying the elegant sensuality that is characteristic of the later years of the king's rule. Today the statue is in the Louvre, Paris.